The La-5 is a Rank II Soviet fighter with a battle rating of 3.3 (AB) and 3.0 (RB/SB). It was introduced in Update 1.35. 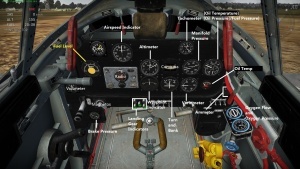 The La-5 is an energy fighter. While having decent manoeuvrability, it is sluggish when flown at low speeds and suffers from the control surfaces locking up at higher velocities. It is best to gain altitude, stay around 2-3,000 meters and make short dives on distracted or weaker enemy planes. At the start of the game, climb high and wait for the first dogfight to commence. Once the other planes are engaged, dive on one, fire a good burst, and pull away back to around 3,000 m, and do it again. Shallow dives like this typically best take place at a lower altitude than other boom and zoom aircraft, but here is where the plane's speed will be optimal for manoeuvrability. If you pick up a tail, speeds of around 300 kph/186.4 mph are the best for manoeuvering. This plane is one of the first Soviet fighters in the game to have a powerful engine, WEP, and effective cooling. The 20 mm cannons are mighty, but low on total ammunition count. 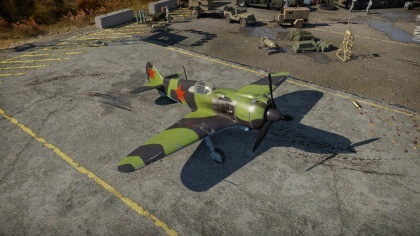 Only fly this plane after getting used to the trajectories of the other more forgiving Soviet planes, such as the Yak line, since they use the same cannons. It is typically best to use Ground Target ammo for its high explosive properties. In early 1942, Semyon Lavochkin's LaGG-3 fighter was under threat of having its production cancelled, having proved itself to be a flawed fighter, underpowered and overweight. At the same time, Arkady Shvetsov faced a lack of demand for his M-82 radial engine, only successfully used by the Sukhoi Su-2 ground attack aircraft that was also in danger of being cancelled. The two designers met at a conference in Moscow, and Shvetsov agreed to help Lavochkin fit the M-82 engine to the LaGG-3 airframe. Mikhail Gudkov, one of the original designers of the LaGG-3, had already attempted to do the same thing, resulting in the Gu-82 fighter. However, he had delayed too long in getting the fighter into production, and by April 1942, Aleksander Yakovlev had succeeded in getting production of the LaGG-3 cancelled in favour of his Yak-7 fighter, effectively monopolising Soviet fighter production. Lavochkin's OKB was, in the meantime, transferred to the backwaters of Tbilisi, Georgia and he and his team had to work almost illegally and in harsh conditions to modify the LaGG-3 for the M-82 engine. The radial engine was physically wider than the LaGG-3 fuselage cross-section, requiring skirting to attach the larger engine and to the fuselage, and the M-82 also had no space for an engine-mounted cannon, unlike the Klimov M-105. Thus, the updated armament changed to two 20 mm ShVAK cannon mounted on top of the engine. The new LaGG-3 M-82 (also known as the Samolyot 37 (Aircraft 37) or the Type 37) was completed in February 1942 and underwent test flights, with promising results despite problems with engine cooling. Its performance was better than any Soviet fighter then in service. 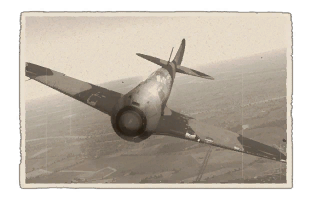 Other issues revealed in testing consisted of: excessive control forces, oil leaks, and excessive weight, but these could not overshadow the LaGG-3 M-82's excellent performance, and it full-scale development began as the LaG-5. The first fully operational LaG-5s were delivered on 20 June 1942. Series LaG-5s suffered from poor quality, which reduced performance considerably. As was revealed in the test flights, pilots found it to be a more difficult aircraft to fly than the Yak-1 or LaGG-3, but the radial engine enhanced protection during head-on attacks. Redesignated La-5 in September 1942, the new fighter faced its first important test during the battle of Stalingrad. It proved not to be enough to equal the Bf 109 F-4 and G-2 models but was considered capable of further improvement. Continuous improvements to the La-5 would eventually lead to the La-5F, La-5FN, and finally the La-7, among some of the most excellent Soviet fighters of the Great Patriotic War. This page was last edited on 15 January 2019, at 21:10.